A quiet, closed-door meeting in Washington next month will be of crucial importance in shaping the Church’s response to the nation’s biggest church-state crisis in decades. When some 40 bishops of the administrative committee of the national bishops’ conference gather March 14-15 at conference headquarters, they’ll be looking at the Obama administration’s January mandate to Catholic institutions to violate Catholic teaching as well as the problematical “accommodation” of religious concerns unveiled by the president February 10. A series of ugly events sets the stage for the bishops’ deliberations. Flash back to early November. Obama and Archbishop (now cardinal-designate) Timothy Dolan of New York, president of the bishops’ conference, met to discuss topics including tensions in the religious liberty area. “I left the meeting somewhat at peace,” Archbishop Dolan later said. That meant he believed Obama was likely to give church-sponsored institutions a comprehensive exemption from a Department of Health and Human Services rule requiring virtually all private health care plans to cover sterilization, abortifacients, and contraception under the new national health plan known as Obamacare. It was not to be. 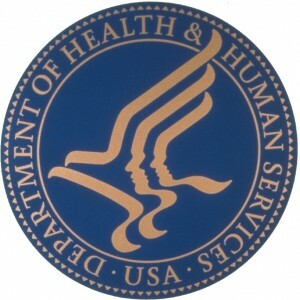 On January 20 HHS Secretary Kathleen Sebelius, acting for the administration, released the rule’s presumably final version. Its only concession to the Church was a year to comply—“a year to figure out how to violate our consciences,” Archbishop Dolan said angrily. Many people saw in the administration’s move a payoff to Obama’s supporters in the birth control-abortion industry. Administration sensitivity to potential criticism was visible in the release of Sebelius’ announcement late in the day on a Friday, a familiarWashingtontactic for minimizing news coverage. In the same vein, the one-year delay in compliance (“more time and flexibility to adapt,” Sebelius said) appeared aimed at keeping the issue out of the presidential campaign. Hence the February 10 accommodation—if it really is that. Among other things, the difficulty it raises from the point of view of the Church is that, like a key that opens a lock, it makes the health plan a Catholic institution provides to its employees the key needed for them to unlock coverage for contraceptives, abortifacient drugs, and sterilization directly from the insurance carrier. There also are reasonable grounds for fearing that, no matter how the accountants structure it, costs of this coverage would be passed on to the Church. If the bishops reject this deal, they don’t have a lot of options. Closing down thousands of Catholic institutions and programs isn’t likely. Remedial legislation pending in Congress has little chance of becoming law with Democrats controlling the Senate and the White House. As for simply refusing to obey the HHS rule, it’s a last resort. That leaves litigation. Three religiously sponsored lawsuits against the new mandate, involvingBelmont Abbey College in North Carolina, ColoradoChristian University, and the Eternal Word Television Network (EWTN) are underway. The bishops could decide to back these challenges or others. Religion in America scored a smashing 9-0 victory over the Obama administration in the Supreme Court a few weeks ago when the justices unanimously upheld the constitutional right of churches to decide ministerial personnel matters without government interference. Now the HHS mandate could also be headed for the court.